Legendary actor and writer Sam Shepard passed away July 27 at the age of 73, with word of his death only surfacing earlier today. Family spokesperson Chris Boneau confirmed Sam Shepard's death, and that he was surrounded by family and friends at his home in Kentucky. He passed after suffering from the disease ALS, best known as Lou Gehrig's disease. Deadline reported on the actor's passing, although there are no details if there will be any sort of public memorial service or not. Sam Shepard was born November 5, 1943, in Fort Sheridan, Illinois to Samuel Shepard Rogers, Jr., a farmer, teacher and WWII fighter pilot, and Jane Elaine Shepard, a teacher. After graduating from high school and briefly studying agriculture, he dropped out of college to join a touring theater company for two years, before eventually settling in New York City in the early 1960s, where he started his career as a well-regarded playwright. Between 1966 and 1968, Sam Shepard won six OBIE Awards, which recognize Off-Off Broadway plays, but he ended up moving to London with his wife O-Lan Jones in 1971, where he continued to write his plays, although he returned to the U.S. in 1974, where he was named the playwright in residence at the Magic Theater in San Francisco, where he wrote the play Buried Child, which won him a Pulitzer Prize in 1978, and where he created many of his other iconic plays. 1978 was also the year the late writer started his career in acting, with a role in Terrence Malick's Days of Heaven. That lead to roles in 1980's Resurrection, 1981's Raggedy Man and 1982's Frances, where he met actress and longtime companion Jessica Lange, who he lived with in Minnesota from 1982 to 2009. However, it was his Oscar-nominated role in The Right Stuff in 1983 that truly put Sam Shepard on the map as an actor. Throughout the 1980s and 1990s, Sam Shepard continued to work as both a Hollywood actor and as a playwright. 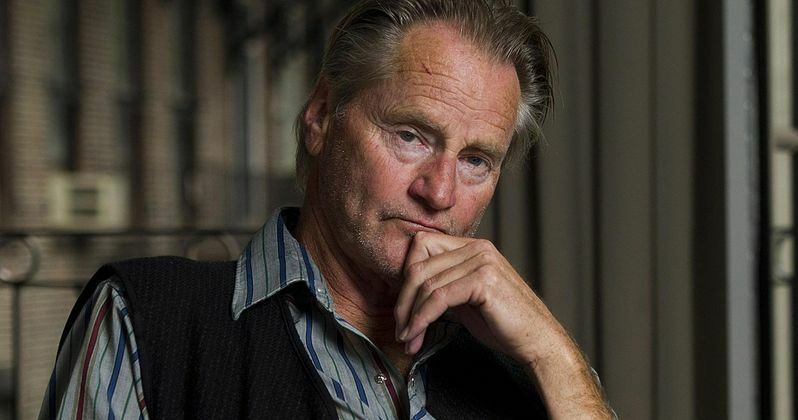 Between 1980 and 2014, Sam Shepard wrote 17 plays, including the 1993 drama Simpatico, which was turned into the 1999 movie of the same name starring Nick Nolte, Jeff Bridges and Sharon Stone. He also adapted his 1983 play Fool For Love himself for the 1984 movie of the same name, which was directed by Robert Altman, and he also starred in alongside Kim Basinger, Harry Dean Stanton and Randy Quaid. The actor-writer also wrote the screenplays for Paris, Texas and the two movies he directed, Far North and Silent Tongue. The late actor worked steadily in front of the camera with roles in Crimes of the Heart, Baby Boom, Steel Magnolias, The Pelican Brief, Thunderheart and Hamlet throughout the 1980s and 1990s. Sam Shepard didn't slow down one bit in the 21st Century, with roles in the romance classic The Notebook, Don't Come Knocking, Stealth, The Accidental Husband, Brothers, Fair Game, Darling Companion, Safe House, Killing Them Softly, Mud, August: Osage County, Out of the Furnace, Cold in July, Midnight Special, In Dubious Battle, The Assassination of Jesse James, and the Netflix series Bloodline. He is survived by his three children, Jesse, Hannah and Walker Shepard, and his sisters, Sandy and Roxanne Rogers.